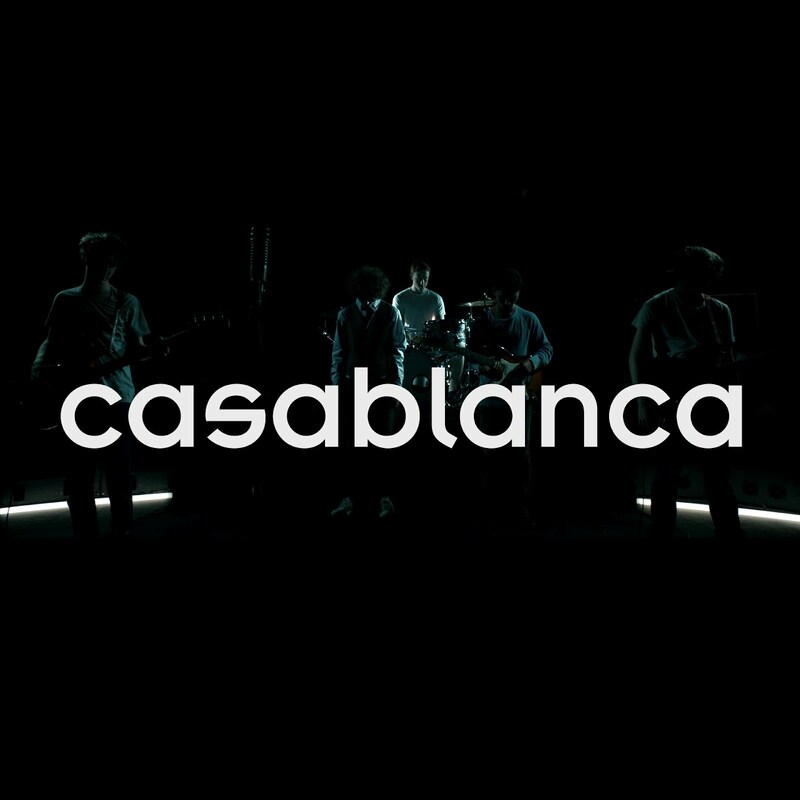 Last month Sound Advice reviewed the A-side from Casablanca’s debut single, ‘Yes’. The London four piece have now just launched the B-side to the single and it’s called ‘Natalie’. ‘Yes’ was a solid introduction to the band and their lushly produced indie guitar pop, which recalled fellow London newcomers Zulu Winter, as well as The Maccabees and Friendly Fires. While ‘Natalie’ may exhibit traces of Bombay Bicycle Club, it successfully pushes aside any major influence or comparison that was made on ‘Yes’. Beginning with an odd, delay-effected guitar rhythm, a second guitar emerges playing an almost counter like rhythm leaving the kick-drum thuds to sort things out. Jacob Wheldon’s heavily reverberated vocals enter soon after while a simple but ear grabbing bass line drives the song along, bringing with it a darker edge. The song effortlessly slides a chorus made up of U2 like guitars with Wheldon singing “Lets go to America, let’s live in to New York” over the top of a ‘Sunday Bloody Sunday’ style drum beat. A nostalgic Coldplay-like lead plays throughout the bridge marking the beginning of an interesting arrangement and end section to the song. Things build in intensity climaxing with “football crowd” chants appearing during the song’s final seconds. This final section leaves you wishing they’d expanded on this section but I’m sure they’ll do just that in their live shows. Although containing many “pop” and anthem-like elements, the arrangement of ‘Natalie’ is creative and somewhat complex giving the song an edge. ‘Natalie’ is earnest and that line where bands can potentially overstep with ambition, sentimentality, or become overly grandiose can be a blurry one. While you get the feeling that Casablanca are shooting for the stars, luckily ‘Natalie’ manages to stay on the right side of that line. The single will be available via iTunes on 17 September, however you can purchase the limited edition 7” now.